I know it is not even Halloween yet and I am posting a Christmas card but it is the 25th of the month and that is what I committed to do. 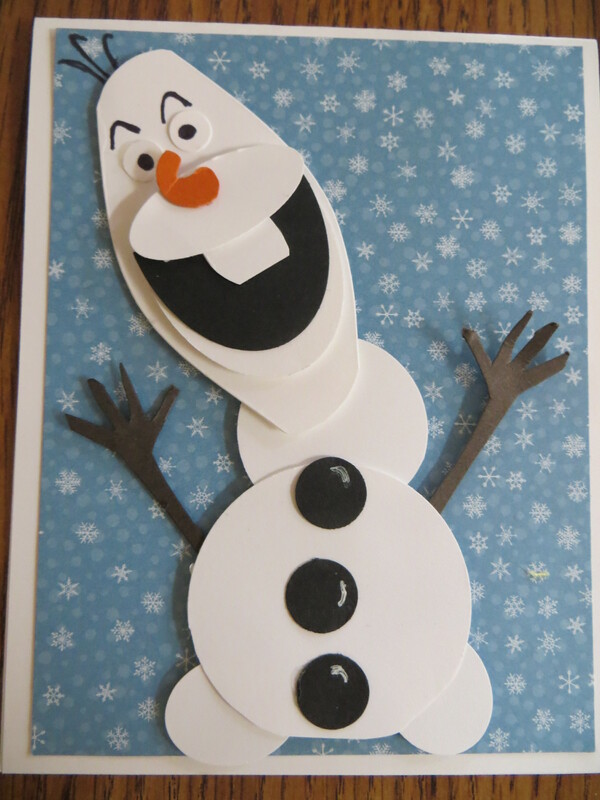 Today’s card is a super cute and fun punch art snowman resembling Olaf from the fabulous Disney movie, Frozen. I have seen lots of different versions of this guy so this is my version using an abundance of Stampin Up punches, and dies Oh My! Lots of pieces to create this guy but love how cute he turned out! It’s the 25th of the month again so that means it’s time for a Christmas post. 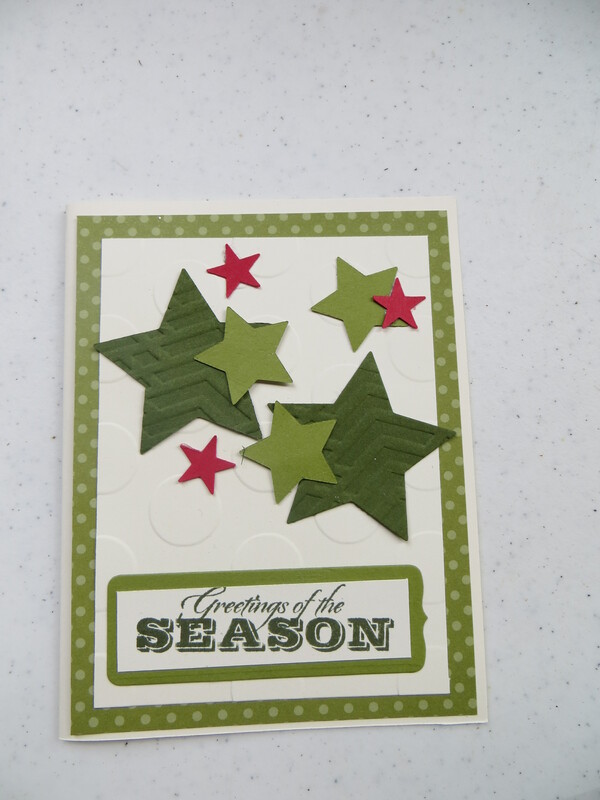 For this card, I used retired DSP and lots of stars in all shapes and sizes and a Christmas sentiment to complete the design. 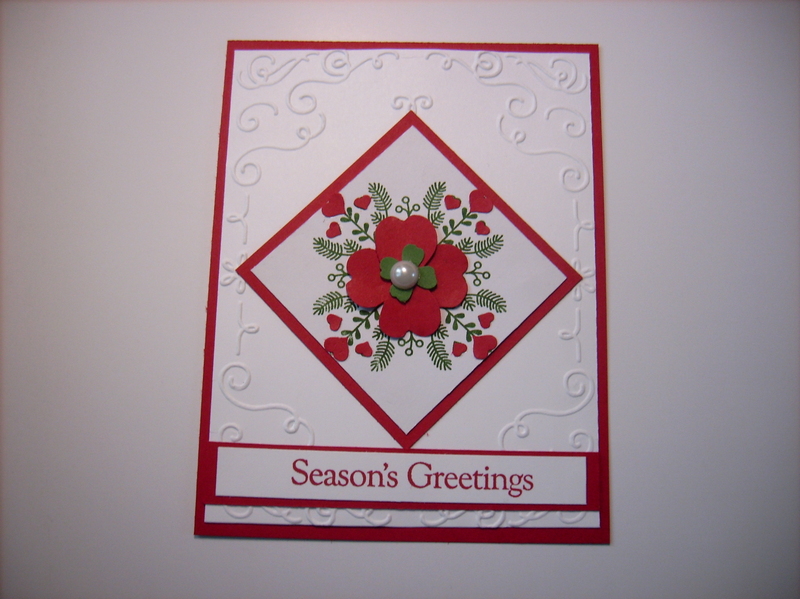 This card is perfect for re-creating multiples for your Christmas greetings. For this months 25th of the month Christmas posting, I used scraps left over from a older My Paper Pumpkin Kit from Stampin Up. I glued the strips to a piece of silver Glimmer paper#135314 and then cut them into balls using the Circles Collection Framelits #130911. I added a strip of 1/8 inch Silver Ribbon. I added the sentiment to the main panel and then matted it with a piece of the Glimmer paper and a red card base. 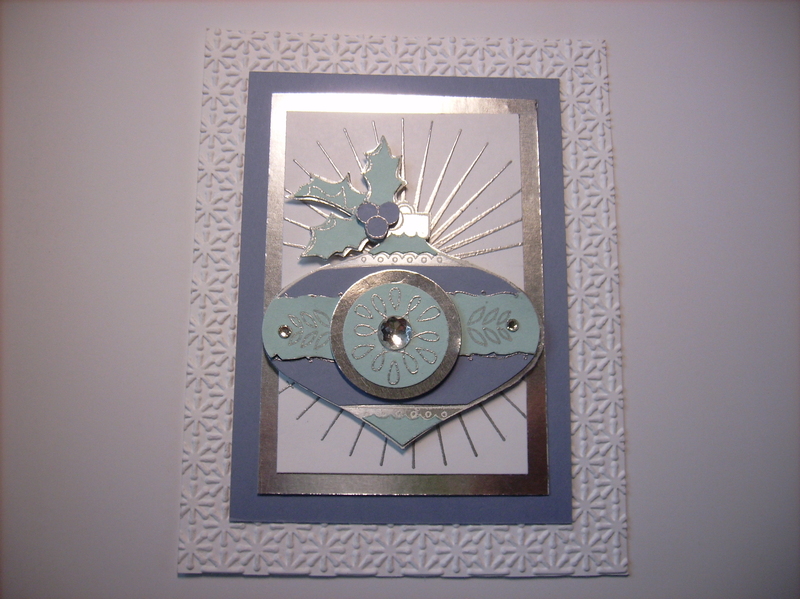 Today’s post is another Christmas card from Cammie that features the Christmas Bauble #138834 wood mount single stamp that is only available on the Stampin Up Clearance Rack. The Stampin Up Clearance rack has lots of retired products and remarkably low prices so be sure to check it out. This multi-layered shiny Christmas Bauble adds the perfect finishing touch to this no traditional Christmas card. Cammie used silver embossing powder to make each soft sky and wisteria wonder layer of the bauble shine. The bauble rests on the Kinda Ecclectic # 135347 rays that were embossed in silver. 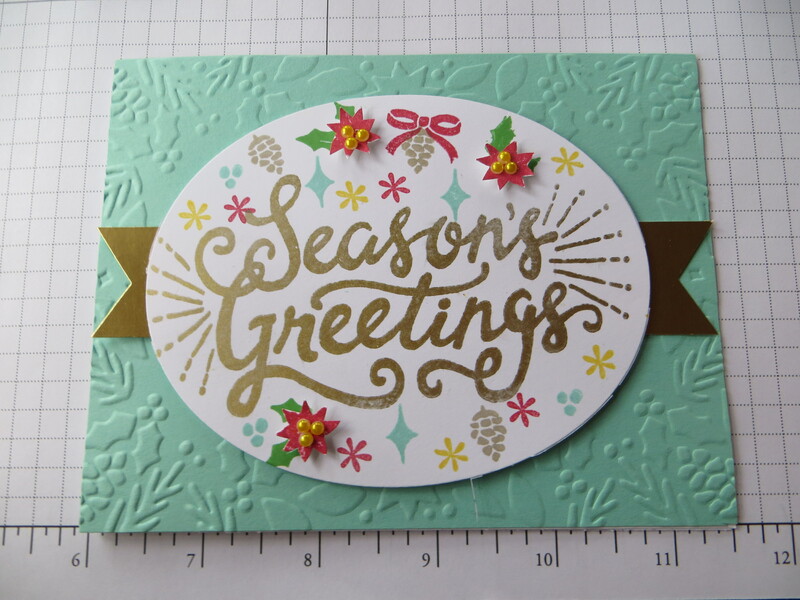 Continuing with the 4th Christmas card this week for our Christmas in July celebration Cammie used the Cheerful Christmas stamp set that is currently available on the Stampin Up clearance rack. The clearance rack is the perfect place to save up to 60% on products that are no longer available in any of the Stampin Up catalogs. The clearance rack offerings change constantly so be sure to keep checking to see the newly added items. The Cheerful Christmas stampset #135146 pairs perfectly with the Filigree Frame Textured Impressions Embossing Folder (no longer available). 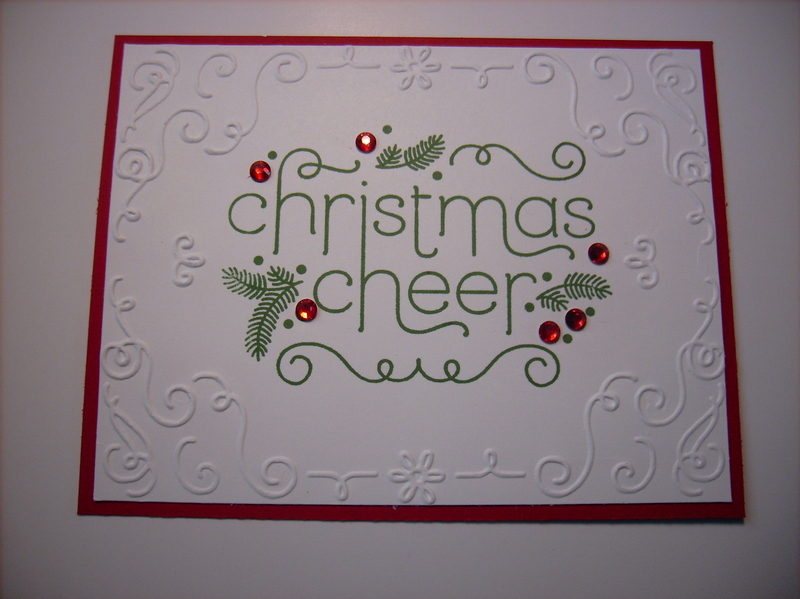 Cammie just stamped the sentiment and then added colored rhinestones to bling up her simple and beautiful Christmas card. 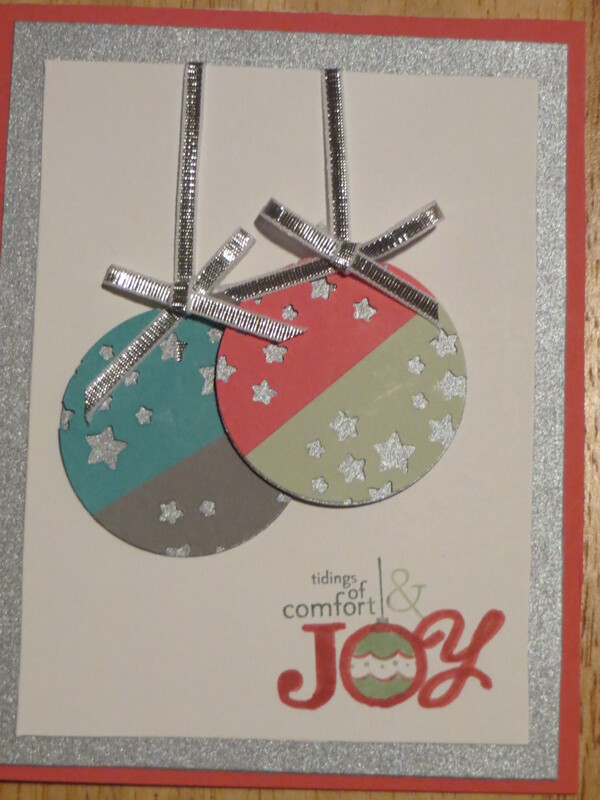 For todays Christmas card, Cammie took advantage of the Stampin Up Clearance Rack to make this card. She found the Cheerful Christmas stamp set #135149 priced at a bargain price so she snatched it up and designed a beautiful nature inspired Christmas card. The whisper white background was textured using the now retired Filigree Frame Textured Impressions Embossing Folder. She then created the focal panel by stamping the Nordic detailed image and then stepped it up by adding the red hearts using various Stampin Up heart punches and frameits. The whole panel came to life by accenting the stamped image and then tilting the whole panel at a 45 degree angle.